For many millions of years, Plants have evolved to efficiently harness the energy of our Sun. Higher photo-synthetic rates are achieved as more sunlight is received by your plants. 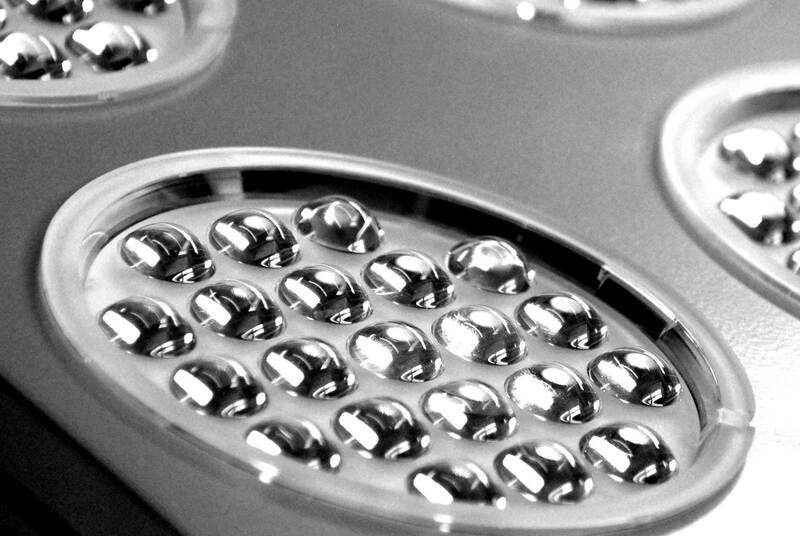 LED Lighting Technologies have been proven to to be substantially more efficient at generating lumens than their HID counterparts. Plant varieties cultivated out doors, exposed the full power of the Sun, thrive with an incredible natural life source and abundant light energy in an optimum environment. With the latest in high-output LED technology and Spectrum enhancement, Advanced Secondary Optics, and modular arrangement capability, SolarSPEC™ Grow Lights aren't just visually stunning. They are also incredibly powerful. SolarSPECific™ - Change the way you grow with a more effective spectrum. For millions of years, Plants have evolved to efficiently harvest the energy of our Sun. By providing your indoor garden the spectrum it receives in nature, it will be possible to achieve optimal growth rates and superior plant vitality. Extensive research has led to observations on increases in biomass and vigor during independent plant studies in comparison to traditional HID and LED lighting. Improved terpene production in certain species have also been observed. 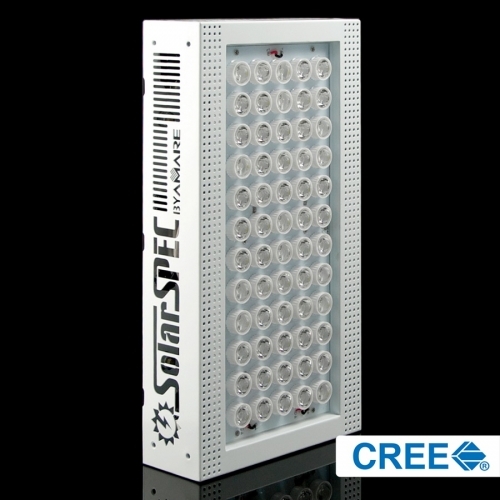 This led to the development of the SolarSPEC™ White Spectrum LED Grow Light Series. ​Utilizing the latest in high output White LED Technology, we created a spectrum profile that is more consistent with the sun. Take performance and intensity right to the edge with PAR Power Technology™ and bring High-Intensity LEDs to the show. Photosynthetically Active Radiation (or PAR) is the portion of the light spectrum that is responsible for the process that plants use to convert water (H2O) and carbon dioxide (CO2) into glucose, a carbohydrate used by plants as an energy source to develop leaves, flowers, fruits, and seeds. Elevated light levels in the appropriate wavelengths are essential to stimulating the developmental growth rates in plants. Faster germination rates and root growth, increased biomass, improved cell structure as well as flower initiation and fruit set have all been noted. And with focused intensity, better light exposure to the lower leaves makes it so your plants can get even more of what they need. Canopy piercing PAR Power Technology™ achieves this by combining the intensity of high-output LEDs in a balanced light spectrum with Advanced Secondary Optics delivering multiple beams of light that are... on par with our Sun. Go ahead. Light them up. 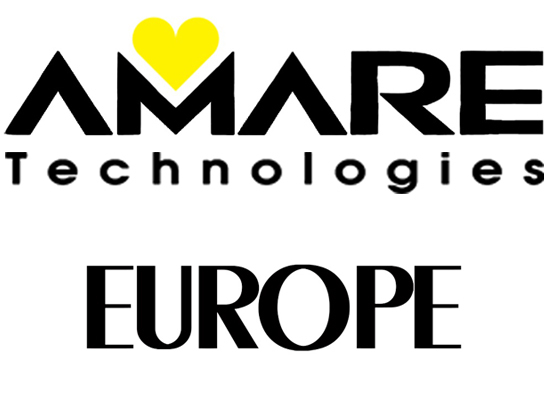 PAR-Power Technology is a breakthrough concept that combines the capacity of High-Intensity Light Emitting Diodes (HI-LED), which target specific high performance wave-lengths in the Photosynthetically Active Radiation (PAR) spectrum, with the focal advantage of Advanced Secondary Optics. SolarSPEC™ LED grow lights with PAR-Power Technology drive the photo morphogenic development in your garden — from cellular growth to the biosynthesis of proteins and amino acids— photosynthetic processes occur faster and more efficiently. That’s because when particular light frequencies in the PAR range are augmented, your plant's metabolism is accelerated, prompting interdependent growth responses to commence. Similar to nature, the light quality is that of our Sun, so your plants won’t even notice. SolarSPEC™ panels are capable of Modular Arrangement Capability. 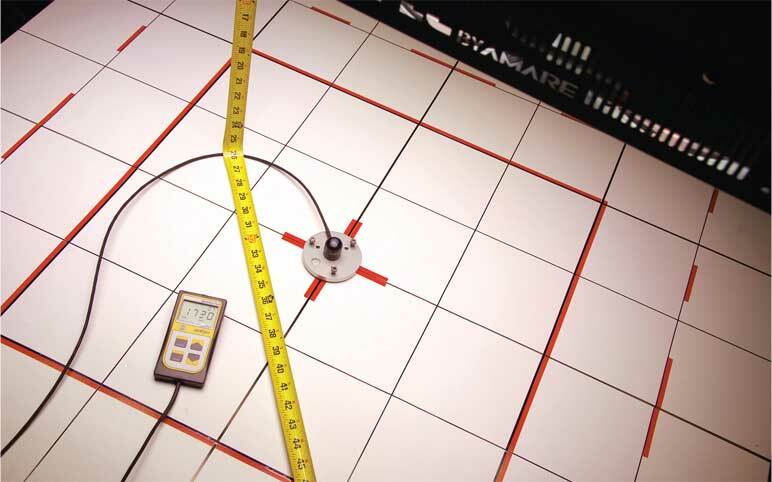 You can configure multiple SolarSPEC™ panels to achieve over 2000 µmols per square foot. Photometric PPFD Data Testing of the 1040w SolarSYSTEM1040 which comprise four individual 260w SS260 panels attached together utilizing their Modular Arrangement configuration feature. Power from corner to corner. 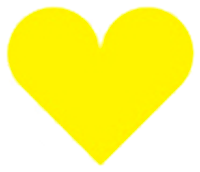 Spread your light more evenly. Minimizing the effects of the Inverse-Square Law makes better use of light energy while increasing your yields. The Inverse-Square Law. 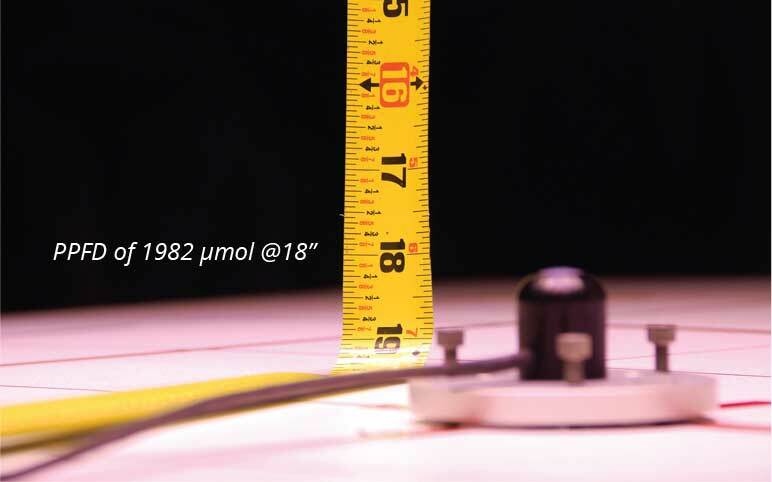 In physics, an Inverse-Square Law is any physical law stating that a specified physical quantity or intensity is inversely proportional to the square of the distance from the source of that physical quantity. ​Therefore, the area over which the light is spread is proportional to the square of the distance from the source of light. Since the same amount of light is spread over the larger area, the light intensity has to be proportional to 1 divided by the distance of the light source squared. Magnified brilliance. Focus the right amount of light, right where you want it. Plant varieties cultivated out doors, exposed the full power of the Sun, thrive with an incredible natural life source and abundant light energy in an optimum environment. Combining Advanced Optics Technology with the latest in High-Intensity LED technology dramatically increases the concentration of photosynthetic energy (Photosynthetic Photon Flux Density or PPFD) reaching your plants' leaves. Focusing more of the light where you need it creates an abundance of energy, efficiently facilitating more thorough canopy penetration, thus maximizing growth potential.​ With Advanced Secondary Optics, the light emitted from High-Intensity LEDs is modified in a manner that augments the beam and effectively achieves the desired photometric specification. The primary optic is included in the High-Intensity LED package, and the secondary optics are a component of the completed housing fixture. Instead of standard LEDs being placed on the surface of the panel, we incorporate High Intensity LEDs which are installed behind optical lenses. When Advanced Secondary Optics are combined with the HI-LEDs, you get concentrated high quality light, demonstrating incredible beam strength and exceptional canopy penetration. Advanced Secondary Optics have another major benefit: The convex lenses redirect divergent light emitted from the diodes reducing a lot of the wasted energy of photons which would otherwise miss the target zone. But we also figured out how to increase light intensity without compromising color quality and efficiency. Instead of using individual LEDs to produce a single color in a conventional way, we adapted a process implementing High-Intensity LEDs with built in reflectors. It’s called Par Power Technology™, and it involves integrating Advanced Secondary Optics with special wide spectrum ​HI-LEDs producing very intense light. The result: astoundingly high Photosynthetic Photon Flux Density (PPFD)— and vibrant, accurate light. Spectrally calibrated for PAR color accuracy. None of these innovations would matter much if the spectrum didn’t deliver results. Which is why we develop every LED Grow Panel through an exacting light calibration process using state-of-the-art spectroradiometers. This equipment is tuned to meet color standards recognized around the world for precision and accuracy. The panels are then tested in real world environments correlating our data to ensure your SolarSPEC LED Grow Lights perform as well as they do. Small, yet robust. The Sun's power now available at your fingertips. Turn up the light. With High-Intensity LED Technology. 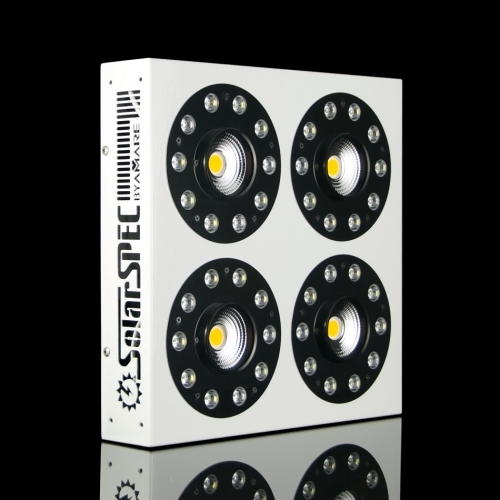 SolarSPEC™ White High-Intensity LED Grow Lights featuring PAR Power™ Technology provides remarkable illumination and redefines what LED Grow Lights can do. 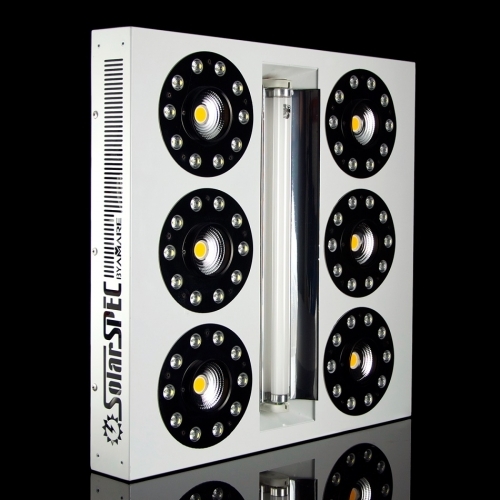 By incorporating Advanced Secondary Optics Technology, the SolarSPEC™ grow light series brings industry-leading color accuracy and performance to indoor growing applications, delivering superior canopy penetration with unprecedented full spectrum illumination. 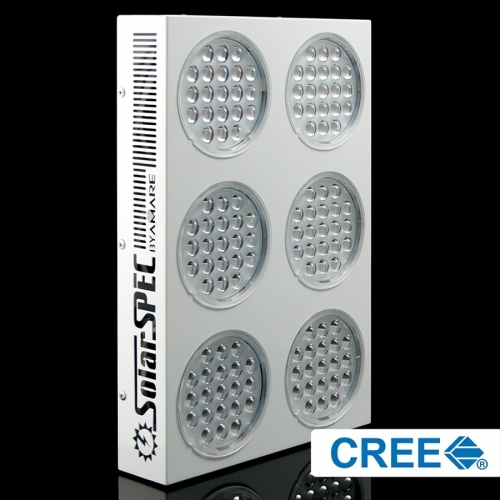 Designed for high performance indoor gardens, nurseries and other high-lumen applications requiring intensity and wave-length accuracy, the SolarSPEC High Output Grow Light series integrating Advanced Optical Technology with PAR Power™ Technology demonstrates optimum growing conditions with vivid light while saving significantly on energy and maintenance costs compared to the traditional HID fixtures they replace. Powering so many diodes without overheating the LED array — or compromising the thin SolarSPEC™ design — required more energy efficiency. So we implement highly efficient LEDs for the new SolarSPEC™ grow lights with Par Power Technology™, reducing power consumption while maintaining our high standard for intensity and brightness.